Jack Adams finalist Gerard Gallant likes to utilize his top defensive pairing of Nate Schmidt and Brayden McNabb against the opposition’s top line. However, that doesn’t mean he lessens the minutes of his other two pairings significantly. Through two games of the Stanley Cup Final, the Golden Knights have been much more balanced in terms of minute load compared to the Capitals on D.
Washington boasts the top three defensemen in average time on ice and also has three of the four bottom players in ATOI through two games in the series. As the workload continues to increase for the Caps, it should come as with an advantage the longer the series goes. Niskanen, Orlov, and Carlson are on the ice a lot, and as long as Vegas’ forecheck can get back to their normal relentless selves, the Capital d-corps should wear down. Carlson and Kempny are the only two defensemen which a 50+% Cosri For for the Capitals, but both have been on the ice for more even strength goals against than for. Wearing out terrific defensemen like Carlson, Orlov, and Niskanen is easier said than done, but the minutes load is likely to add up at some point. Late in games, Vegas has to make it hard on these guys and force Barry Trotz to go deeper down his bench more often. 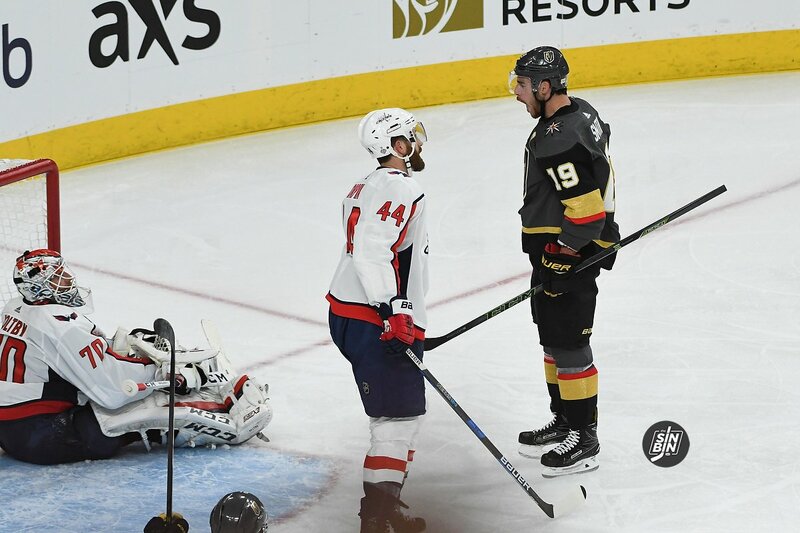 It may not materialize in Game 3, or even Game 4, but as the series continues, the Golden Knights should be the fresher team, especially on the blue line. Not going to be an issue when we have zero forecheck into their end creating zero turnover. Caps are every bit as fast as us but much more physical. Our own defenders are getting hurried in their end time and time again. All our shots are coming from far outside. Not going to be a good result.